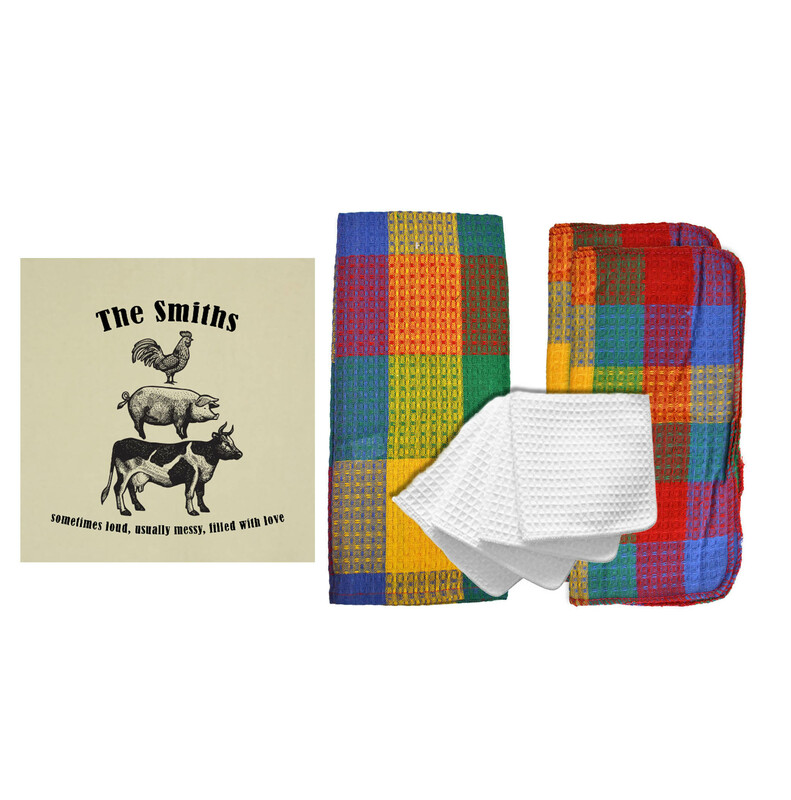 The perfect napkin solution! 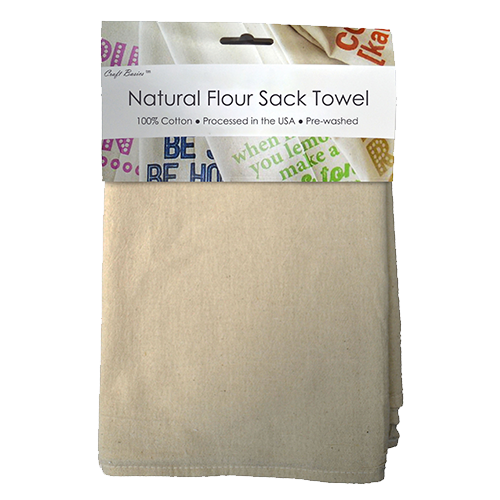 These medium-weight square flour sack towels are extremely versatile. 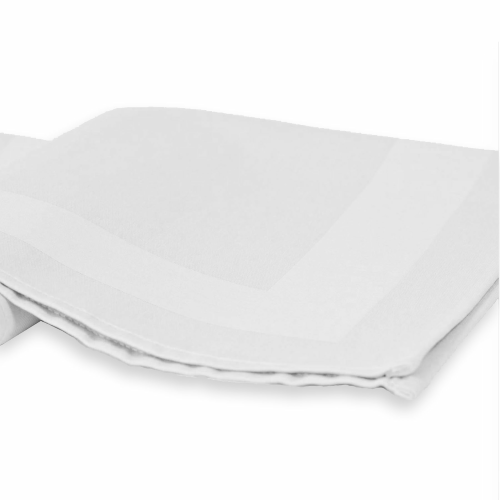 Use these around your home instead of disposable napkins and save money! 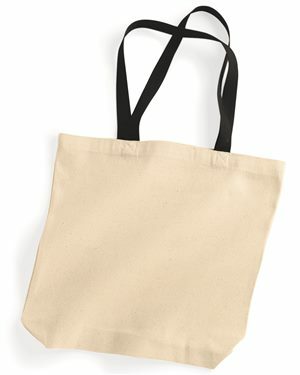 Or if you have a craft store and create your own innovative products, these are a functional and trendy item to offer. 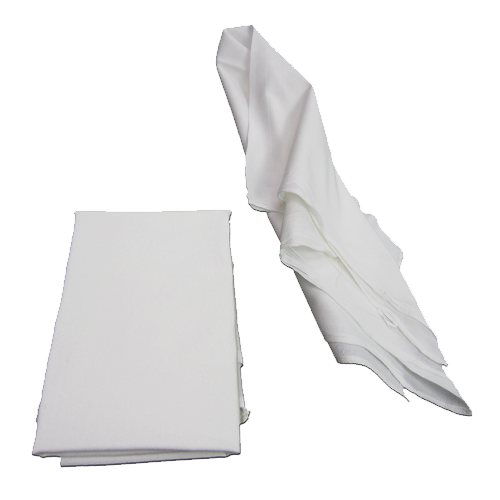 Our 13 inch x 13 inch American flour sack napkin is cost effective and made to last over many meals and washes. 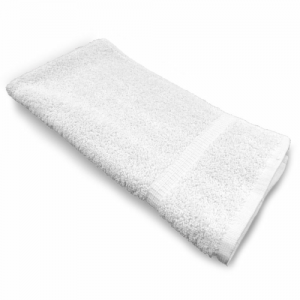 Processed in our own facilities in the USA, these towels display the high-quality construction that comes with close oversight! 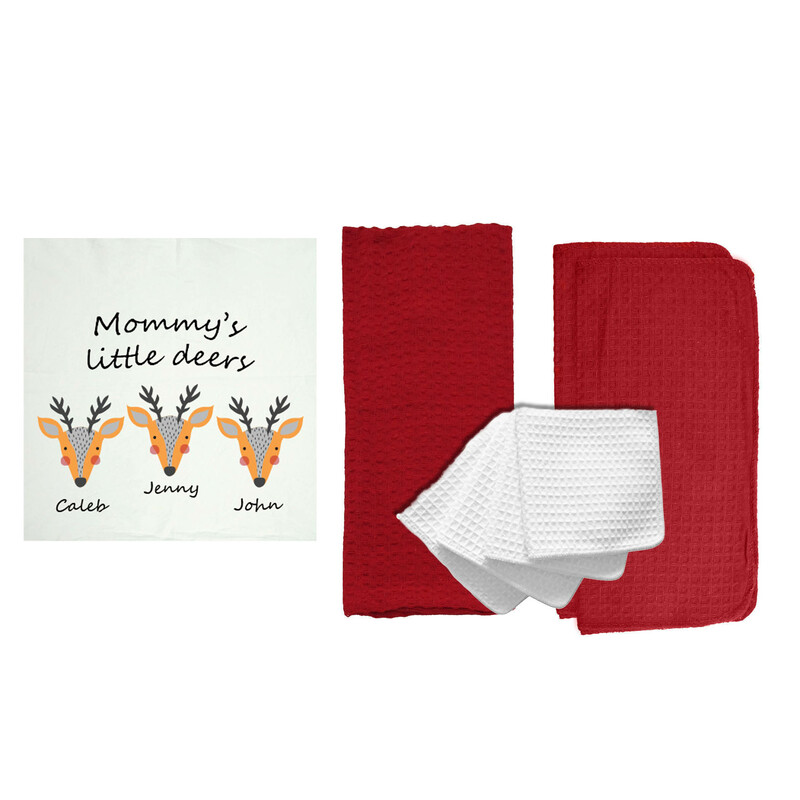 The 13” x 13” American-processed flour sack towels from Cotton Creations are pre-washed, dried and ironed so you are ready to go right when they arrive. 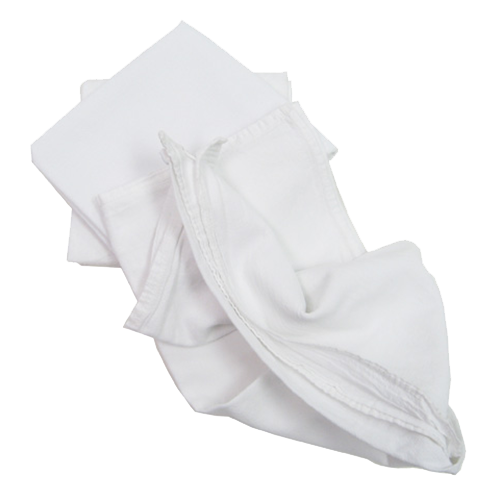 If you need something a little more sturdy and presentable than paper towels, the American flour sack napkin is a bright white and sturdy napkin. 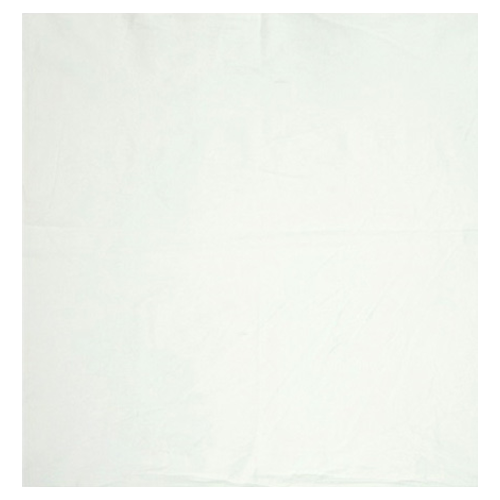 The bright white color looks stylish and bold when placed alongside darker place settings and table textiles. 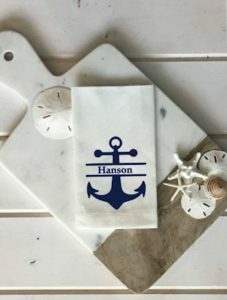 If you use these towels for printing, appliqué, stamping or other crafts, the color can create a strong contrast with darker colors, enhancing your design. 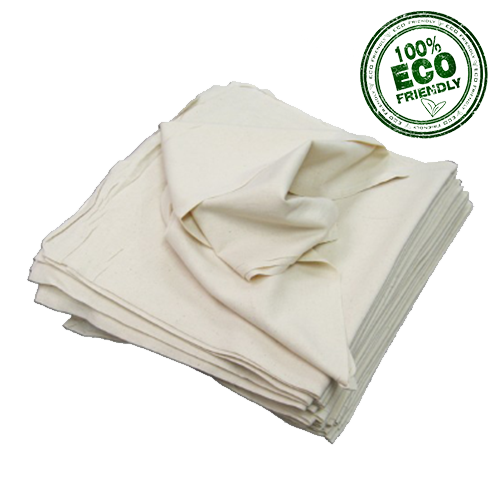 The 13 x 13 American-processed flour sack napkin from Cotton Creations is made from quality, 100-percent fine-woven cotton. 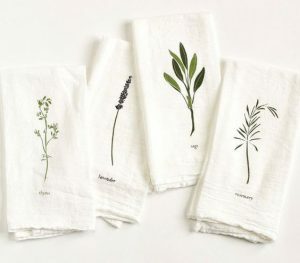 This makes them much more absorbent than paper towels. 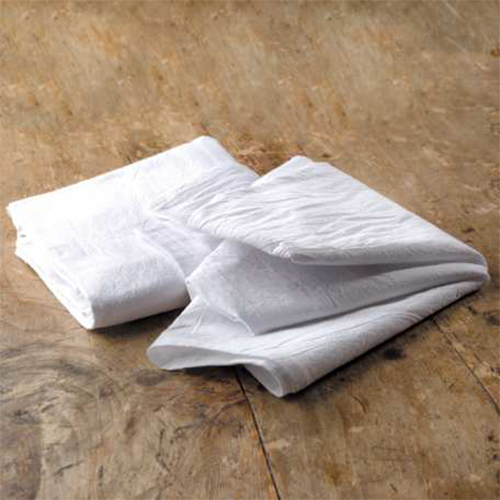 They’re made to be durable, so they can withstand repeated washing, high temperatures and scrubbing. 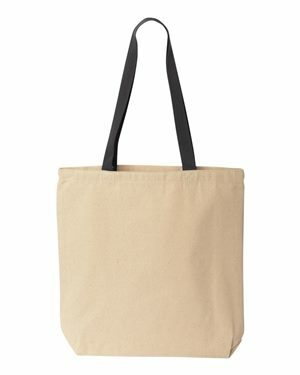 Also, they are lint-free, which means they won’t leave fibers behind when you clean with them, and they will leave no lint if you use them in the kitchen to cover baked goods or ingredients when you cook. 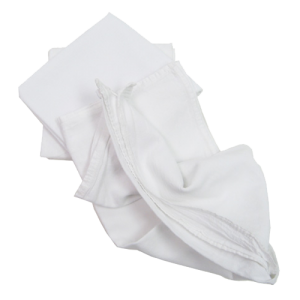 Because the American flour sack napkin is not made with harsh dyes, they are safe to use with food, whether you’re making cheese, proofing bread or draining pasta. 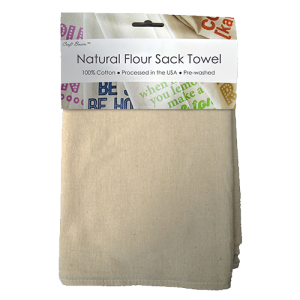 Cotton Creations makes purchasing flour sack towels simple, and helps you save both time and money. 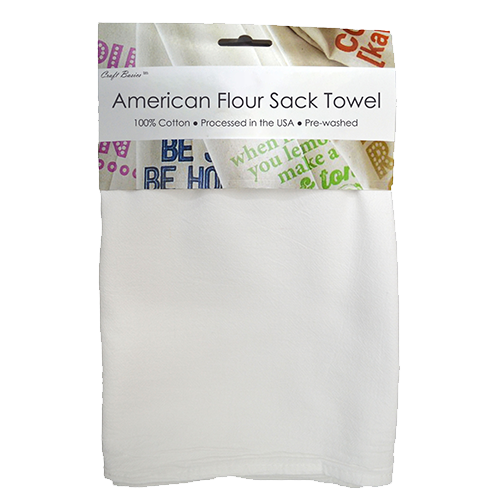 You can buy American flour sack napkins in multiples so that you always have them handy in your guest room, pantry, bathroom, or even in your car. 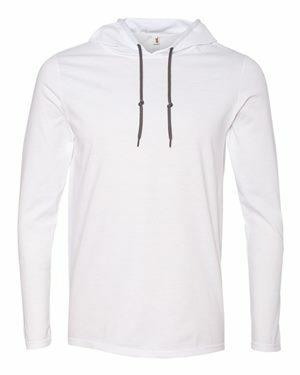 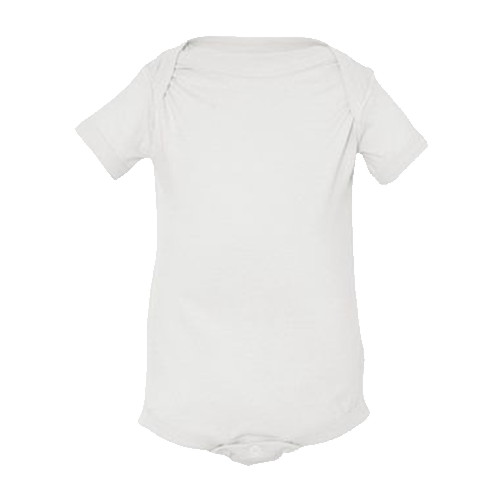 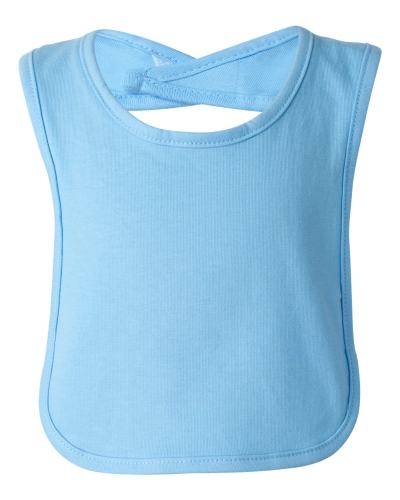 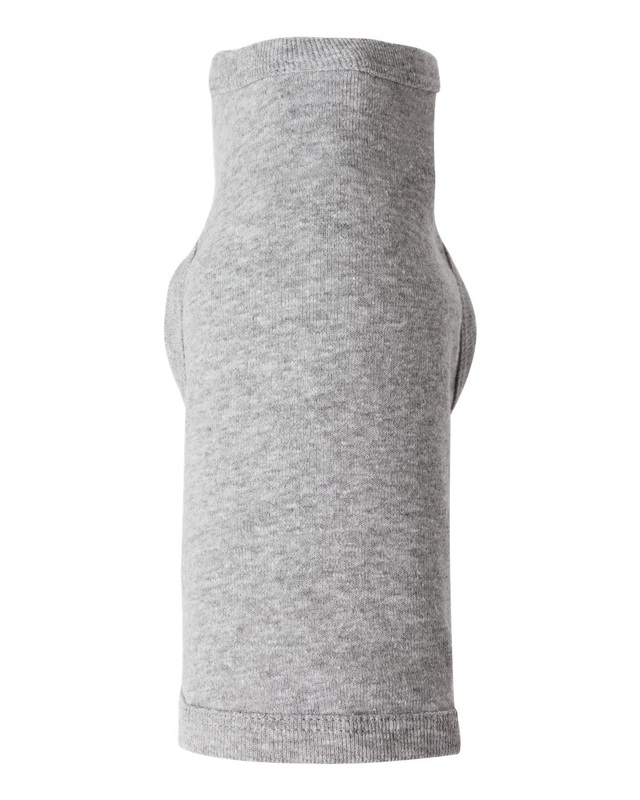 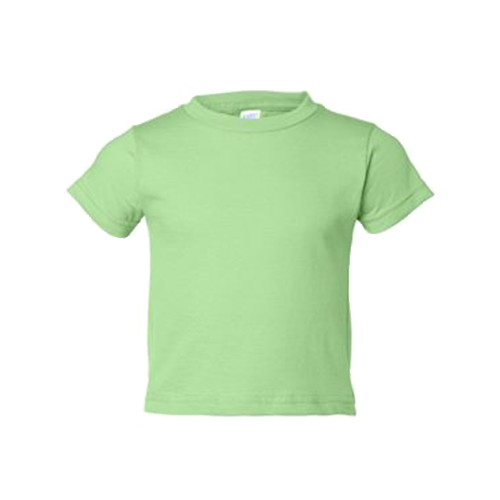 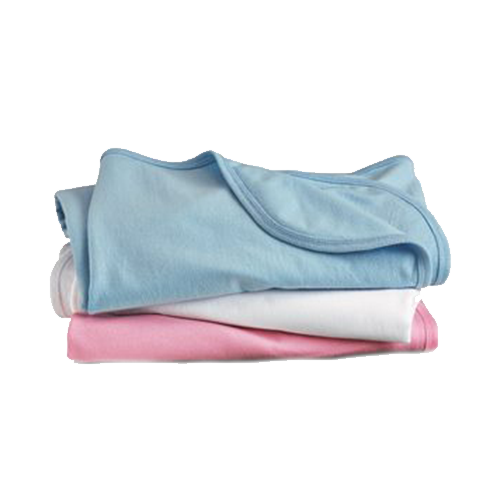 Because they are pre-washed and pre-shrunk, you don’t have to worry about washing them first. 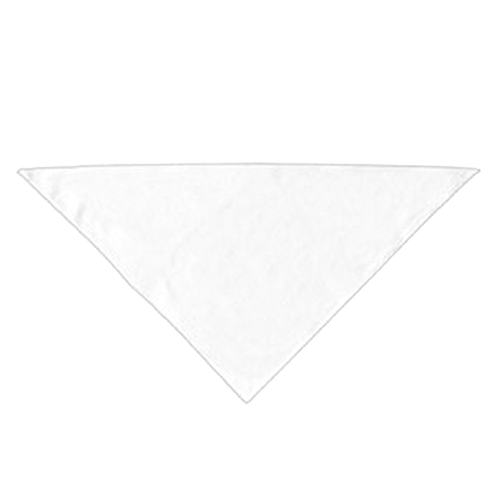 Even in hot water, the fabric won’t shrink and the ink will last. 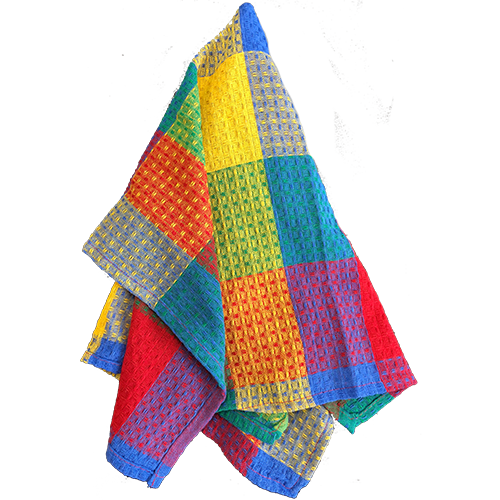 And because they’re finely woven, these towels air dry quickly after washes. 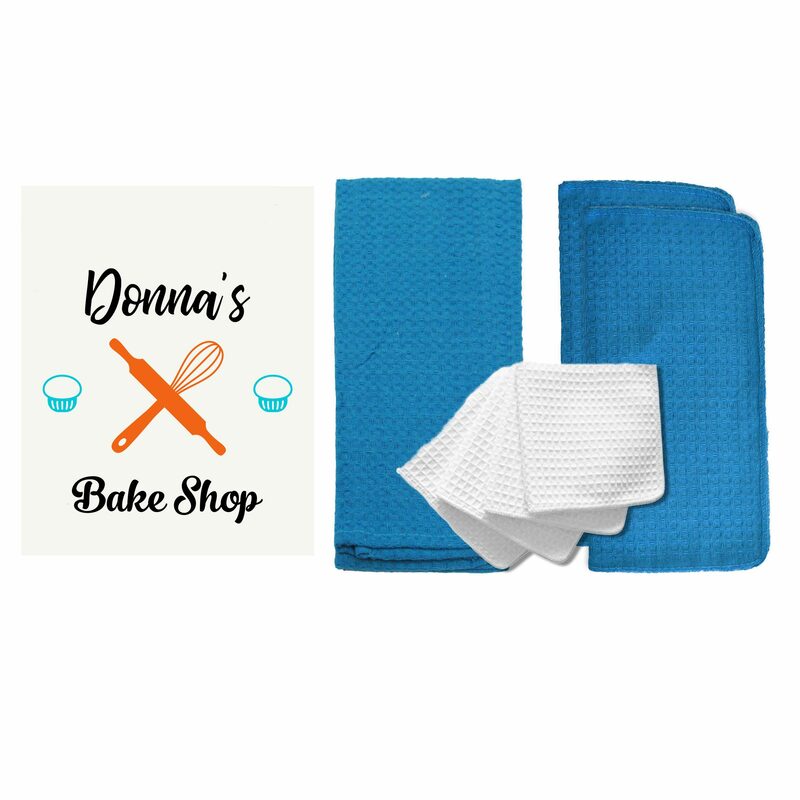 With Cotton Creations, you can buy as few or as many 13 inch x 13 inch flour sack towels as you need! 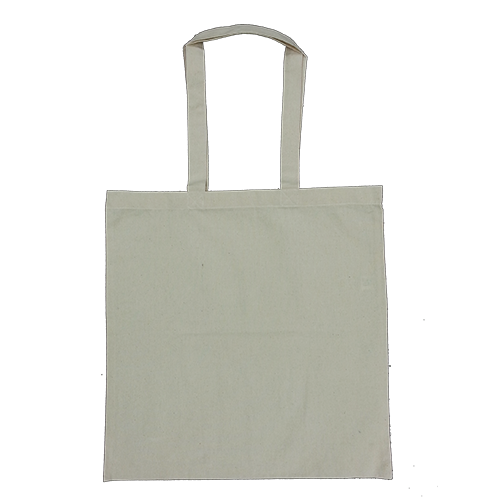 We always keep this line of flour sacks ready and stocked for your next big event. 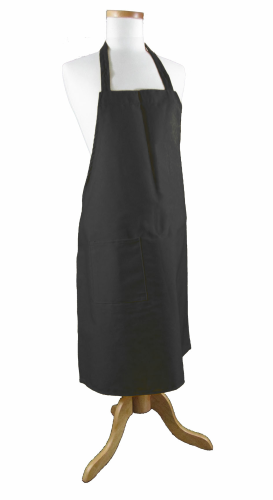 As an added bonus, you get a 30 percent discount when you buy at least one dozen! 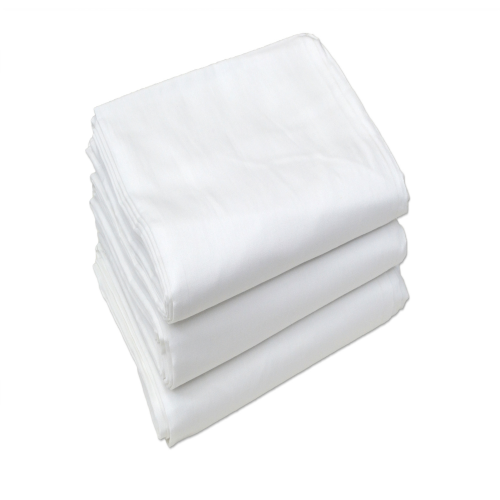 Our bulk pricing begins at 50 units and averages savings of 60%! 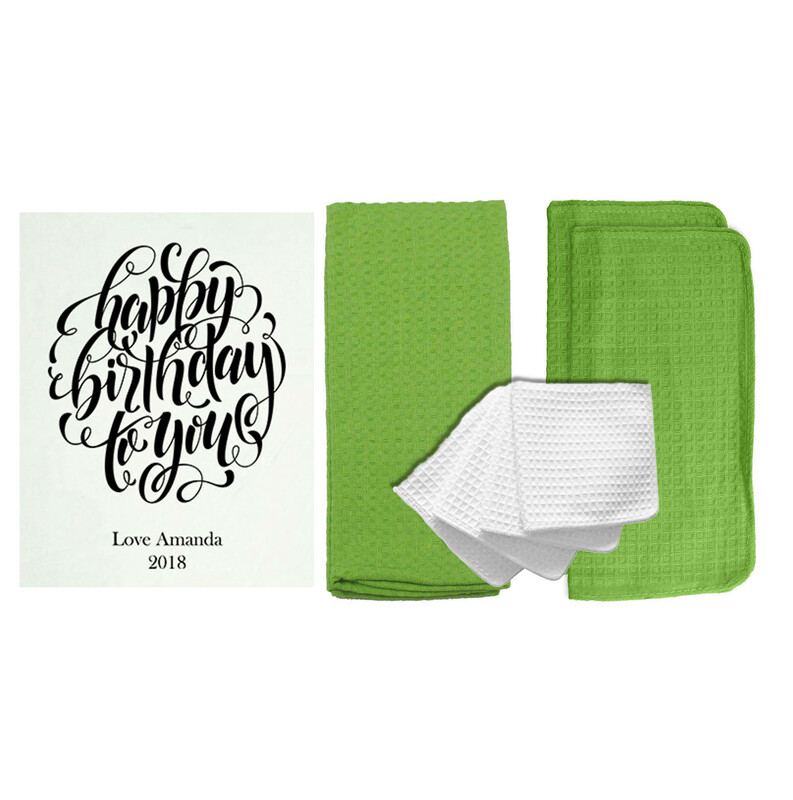 If you want to customize your napkins with a special date or name, try out our Design Station. 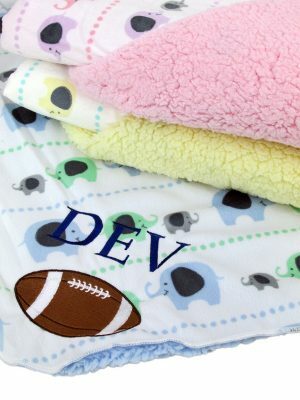 We have a variety of personalization options! 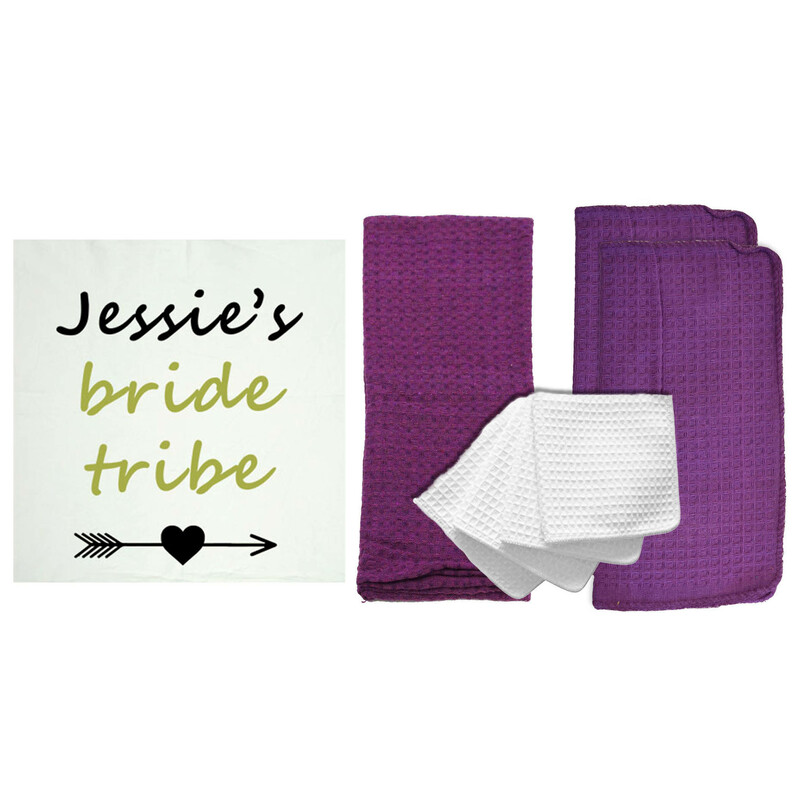 Contact us today to discuss more information about these textile products or our other home goods.